How to Build a Bird Feeder Use a plastic soda bottle and a few pieces of cedar to create a pretty backyard feeder. This Old House magazine offers a free do-it-yourself guide with illustrated instructions, cutting diagrams and a how-to video. Free Birdhouse Plans Build a bird house, bird feeder or feeding table with easy free plans from Amateur Woodworking Magazine. Free Bird House Projects and How-Tos View a bunch of interesting bird house designs that Tipnut.com collected from around the Internet. Build a Bluebird House Garden Gate Magazine offers its online viewers a variety of useful projects and beautiful garden designs. 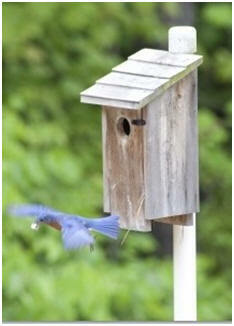 This downloadable plan will show you how to welcome bluebirds to your yard with the right birdhouse. Bird Feeder WayneOfTheWoods.com offers woodworking tools, hardware and great how-to-advice. Their free do-it-yourself woodwork project plans include some simple, do-it-yourself outdoor projects. How to Attract and Feed Hummingbirds Here's an online guide and a do-it-yourself hummingbird feeder that you can make yourself. How to Build a Bird House Get free plans and how-to guides from Lee's Wood Projects. Build your own workshop. Create the perfect workplace for your projects with plenty of space for your machines, workbench and tools. Store your supplies in a high and dry loft. 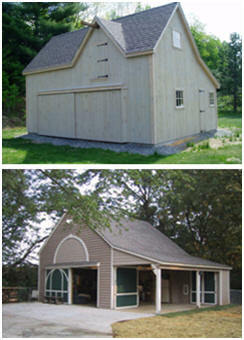 Order inexpensive plans, by architect Don Berg, for practical, flexible, pole-barn workshops, garages and small barns. 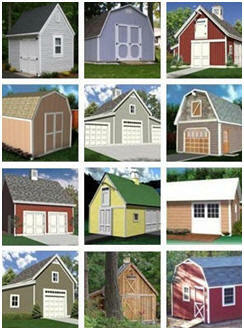 100+ Instant Download Building Plans: Workshops; Garages; Barns; Sheds Get started on your new woodshop, shed, cabana, barn, garage, car barn, hobby shop, carriage house or backyard studio right now. With one order for just $29.00 you can download professional construction blueprints for over one hundred different designs.